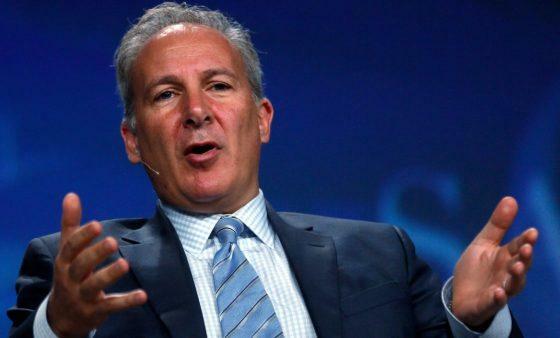 Peter Schiff: "The Truth Is We Don't Have A Booming Economy"
Peter Schiff doesn’t mince words when he declared the precarious state the United States economy has found itself in. As SHTFplan.com's Mac Slavo notes, Schiff says “the truth is we don’t have a booming economy,” and he’s not the only one who has noticed. October was the worst month for global equities in more than six years. Globally, stock markets lost 7.5%, their worst month since May 2012. Even with the late rally, it was the biggest monthly decline in the Nasdaq since 2008. Schiff is well-known for predicting the 2008 financial crisis, but that becomes slightly more real when hearing him say that the job market if a gigantic bubble. Schiff says that jobs are just one more bubble that’s about to burst. As far as the job growth goes, the mainstream keeps pointing to it as a sign of a booming economy. But as Peter pointed out, we’re borrowing a tremendous amount of money to get this jobs growth. Increasing prices is a direct result of a decade of Federal Reserve easy money policy, Schiff accurately says. Over the last 10 years, the Fed has printed trillions of dollars out of thin air. The point is we’re running record trade deficits. We’re running huge government budget deficits. The GOP cut income taxes. We’re giving everybody money to spend, so people are spending.